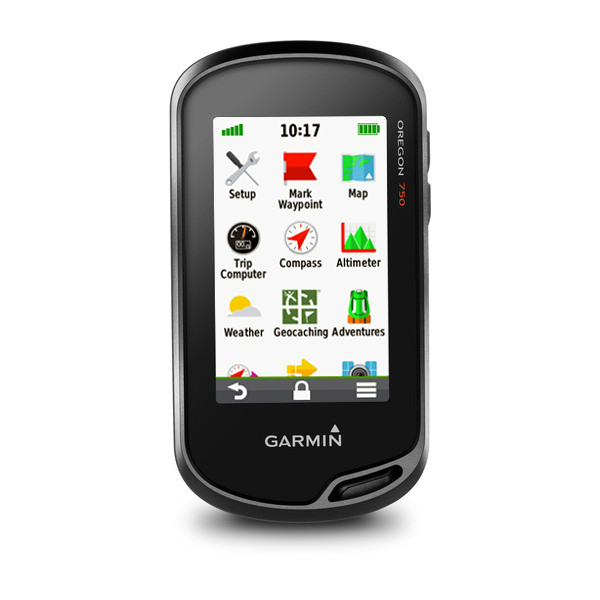 The Garmin Oregon 750 is the latest handheld GPS device from Garmin which features a 3-inch sunlight-readable touchscreen. The Oregon 750 also includes an 8 megapixel digital camera. The device has a dual-orientation mode and also features an altimeter, barometer and compass. It also has Multilink wireless connectivity whereby it uses Wi-Fi, Bluetooth and ANT+ technology. 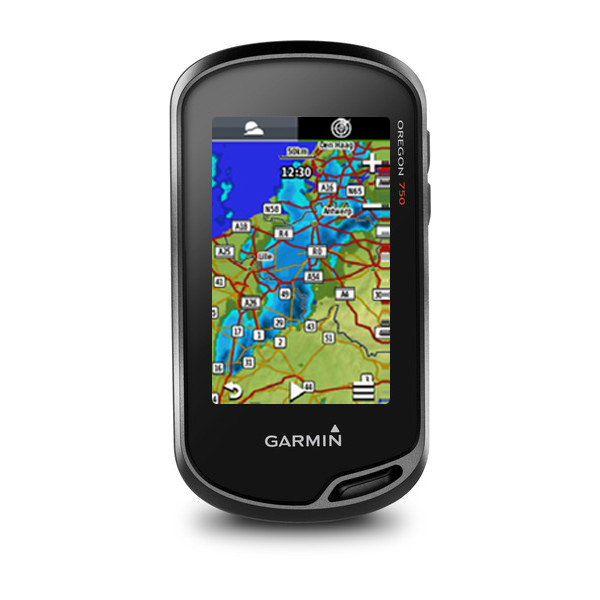 Add mapping to the Garmin Oregon 750 such as BlueCharts for use on the water and City Navigator maps for use when driving. 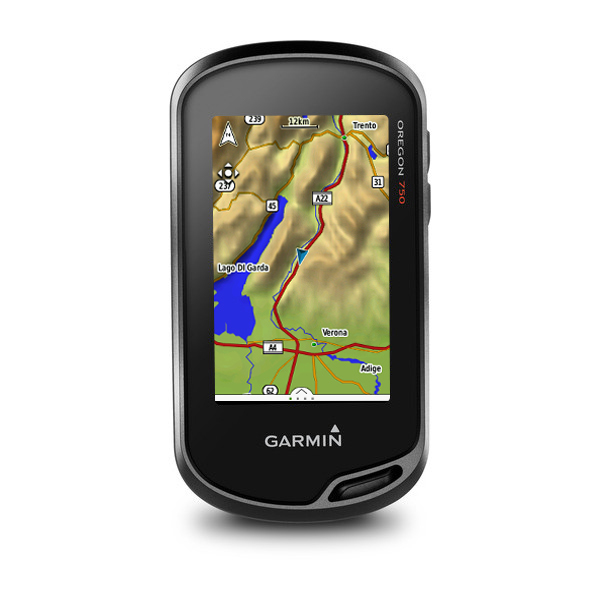 The Garmin Oregon 750 is the top-of-the-range Garmin handheld GPS device with a 3-inch sunlight-readable touchscreen. 1 -year subscription to BirdsEye Satellite Imagery is included. It features an enhanced antenna for receiving the GPS or GLONASS signal. Built-in WiFi enables easy transfer of data between Garmin devices (using Garmin Connect feature). There is also an 8 megapixel digital camera (with a flash that can also be used as a torch) that geotags every photo enabling you to navigate back to the location with ease. Active Weather is also available on the move when connecte to a mobile phone with 4g access. If you would like TopoActive Maps of Europe with the Garmin Oregon 750 we recommend buying the Garmin Oregon 750t instead. Dual orientation feature is also available on the Garmin Oregon 750 enabling you to view the device in portrait or landscape mode. 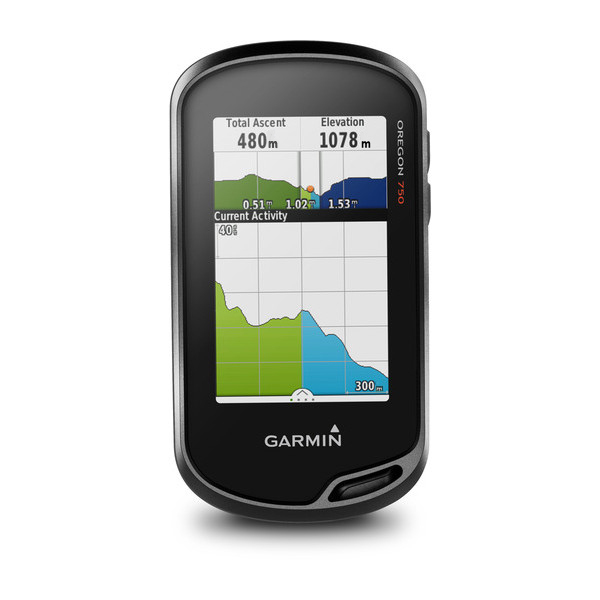 The Garmin Oregon 750 is a device for hiking, biking, geocaching, climbing, kayaking and trail riding. 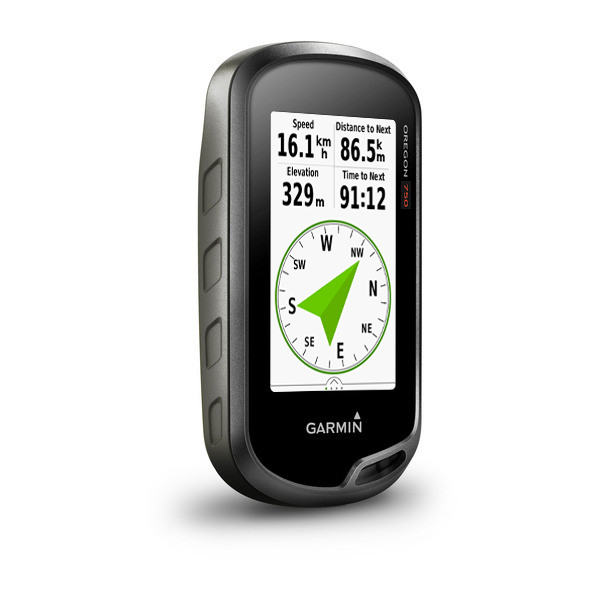 Multilink wireless connectivity is also built in to the Garmin 750 including Wi-Fi, Bluetooth and ANT+). With these technologies you can receive smart notifications (receive emails, texts and alerts on the Garmin device), view active weather radar, view LiveTrack location data, discover Geocaches (Automatically update device with latest caches. No more manual entries. ), update software, upload to Garmin Connect. 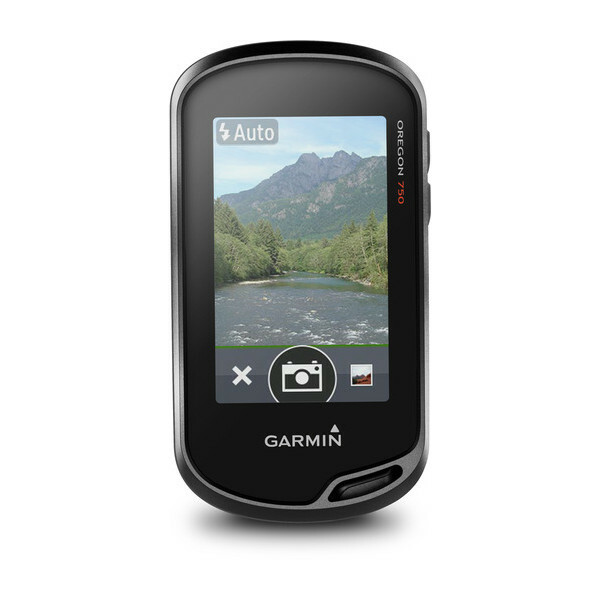 You can also upload and share your favourite photos with friends via Garmin Adventures (Garmin online community). 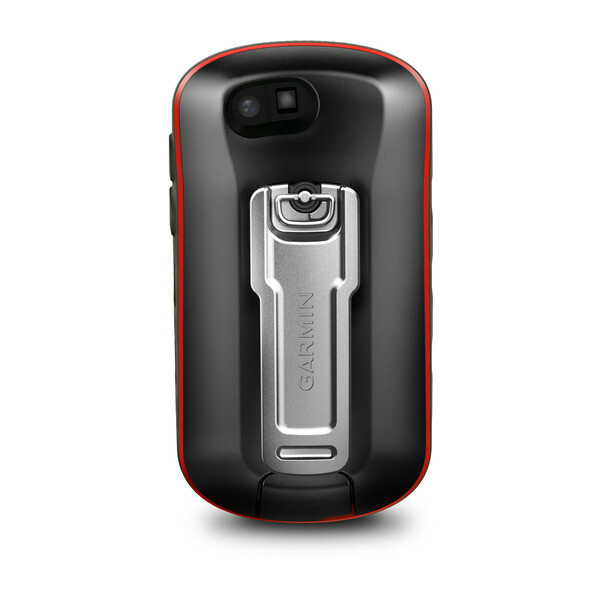 The Garmin Oregon 750 has a dual battery system whereby you can use either AA Batteries or rechargeable NiMH power pack. The battery life is upto 16 hours. Add maps and charts to the Oregon 750. Mapping options include: City Navigator street-level road maps, BlueChart g3 marine charts, TOPO maps and GB Discoverer Ordnance Survey LandRanger maps at 1:25k or 1:50k scale. Each of these maps are available on SD/microSD Card. View optional maps for the Oregon 750t. Do you have a question about the Garmin Oregon 750 or other handheld GPS related question that's not been answered on this webpage? Please see our handheld and Outdoor GPS FAQs page for questions from other customers.Plus if the answer to your question isn't featured, use the online form to ask us for the answer. Alternatively please telephone 01733 777623 Monday to Friday (9:30am-5:00pm) to speak to one of our sales team. For further information online please see the Garmin Oregon comparison table. Garmin Oregon 750 is preloaded with a worldwide basemap with shaded relief. Additional pre-programmed Garmin maps on SD/microSD card can also be added including TOPO maps of 1:50K Great Britain, 1:25K Great Britain, France, Italy, Spain, etc. Learn more about the available maps for the Oregon 750. Looking for accessories to use with the Garmin Oregon 750 handheld device? We sell a vast selection of genuine parts and spares including Oregon 750 hard carrying case, belt clip, handlebar mount, vehicle power cable and mount, temperature sensor and chirp geocaching beacon. Optional Garmin maps for Garmin Oregon 650 are supplied on SD/microSD Card, these include; street-level road maps - perfect for cycling of using your Oregon 750t in a car, 1:50k and 1:25k Ordnance Survey maps - ideal for hiking and walking the countryside of Great Britain and marine BlueCharts - ideal if you want to navigate the waters around the UK, Europe or further afield.